September 17, 2011 8:30 – 4:30pm. 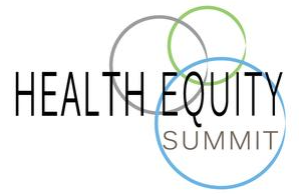 The Health Equity Summit examines strategies and policies aimed at giving everyone the best opportunity to reach the highest level of health. Achieving health equity requires valuing everyone equally with a focused effort of addressing avoidable inequalities, historical and contemporary injustices, and the elimination of health and health care disparities. Racial and ethnic minorities still lag behind whites in many health outcome measures. Our communities are less likely to get the preventive care we need to stay healthy, more likely to suffer from serious illnesses, such as diabetes or heart disease, and when we do get sick, are less likely to have access to quality health care. Social and economic policies have a direct impact on the health and well-being of everyone who lives, works, learns, and plays under those policies. Achieving health equity will require addressing impacts of our policy decisions – from housing and employment to education and transportation – on the health of our communities. The push to provide affordable quality care came from the ground up and all across the health care system. Doctors, nurses, patients, businesses, hospitals, health care providers, community groups and policymakers at the national, state and local levels came together to modernize our system. This effort continues as the Administration, policymakers and community health leaders work together to advance a health equity agenda. With health care reform, millions of uninsured and underinsured Americans will receive health coverage, building the foundation for our continued efforts to eliminate racial and ethnic health and health care disparities. Our communities are working to ensure that implementation at the state level addresses health disparities and closes the gap on coverage. These efforts go hand in hand with the U.S. Department of Health and Human Services’ (HHS) establishment of the National Partnership for Action to End Health Disparities and the National Stakeholder Strategy of Achieving Health Equity, two strategic plans that represent the country’s first coordinated roadmap to combating health disparities and to move the nation toward achieving health equity. In addition, The Congressional Tri-Caucus – comprised by the Congressional Asian Pacific American Caucus, Congressional Black Caucus and Congressional Hispanic Caucus – is joining with communities across the nation to build on the gains provided by health care reform to address disparities in a more comprehensive and integrated way. The Health Equity and Accountability Act of 2011 can provide the tools necessary to address these health inequities and ensure that health and health care disparities elimination are prioritized. Together, our communities and our elected leaders will work to increase awareness of the significance of health disparities, their impact on the nation, and the actions necessary to improve health outcomes for racial, ethnic, and underserved populations; strengthen and broaden leadership for addressing health disparities at all levels; and ultimately improve health and health care outcomes for racial, ethnic, and underserved populations. This entry was posted on Friday, September 9th, 2011 at 5:12 pm and is filed under Health Parity Alerts. You can follow any responses to this entry through the RSS 2.0 feed. Both comments and pings are currently closed.